The second edition of the T10 League got underway yesterday with the match between Sindhis and Rajputs at Sharjah Cricket Stadium. 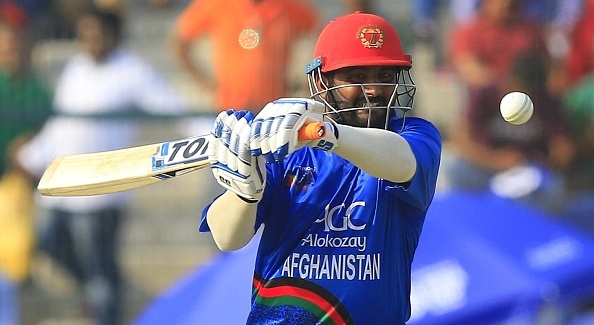 However, the encounter turned out to be a one-sided affair owing to a knock of 74 runs from 16 balls from Mohammad Shahzad, the Afghanistan batsman, that helped the Rajputs emerge victorious by 10 wickets with six overs to spare. The Sindhis put on 94 runs in their 10 overs and apart from Shane Watson, who scored 42 from 20 balls, no other batsman was able to get the measure of the Rajputs’ bowling. Former Indian bowler Munaf Patel was their standout bowler with three wickets. Thereafter, Shahzad came to the party and made a mockery of the target. His knock was laced with six fours and eight sixes. Quite expectantly, after the jaw-dropping knock, the 30-year-old was ecstatic. Nevertheless, he mentioned that he doesn’t prefer giving the yo-yo Test. “I don’t like Yo-Yo test. Some people score 20 in the test still they can’t hit a six. I do not care about Yo-Yo test,” Shahzad was quoted as saying to presenter Ramiz Raja in the presentation ceremony. Earlier, the swashbuckling remarked that he works a lot on his fitness and simultaneously eat a lot as well. He also doesn’t want to have a fitness routine like the Indian captain, Virat Kohli, who is amongst the fittest cricketers doing the rounds. He backed his comments by saying that he can smack bigger sixes than the Delhi-born cricketer. Apart from his knock, Brendon McCullum, at the non-striker’s end, also did his bit with a knock of 21 runs from eight balls as Rajputs tracked down the target in merely four overs. Sindhis used four bowlers and each of them conceded over 20 runs. Even Jofra Archer, who has been phenomenal in white-ball cricket over the last few months, wasn’t spared.